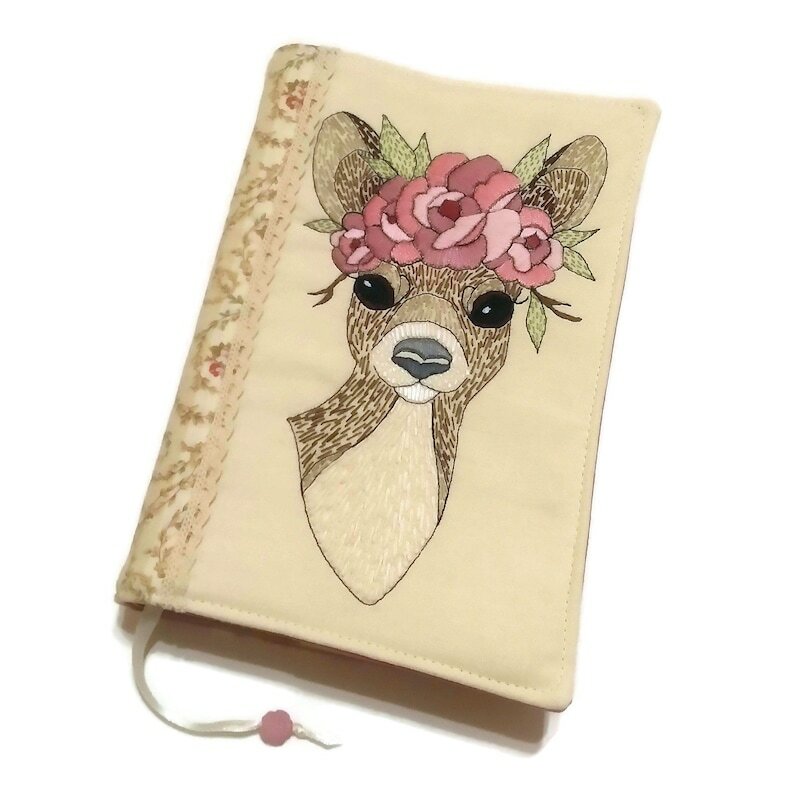 Romantic diary cover made entirely of cotton fabrics with cute embroidered deer and roses and decorated with cotton lace. The book cover is machine-sewn and hand stitched. All the different colors on the deer are hand embroidered. Only one available! Ready to ship! This travel journal cover will protect your favorite books and your privacy while reading in public. It will give a beautiful look to your book and will inspire your readings! It is a great gift for women and all book lovers. It measures 22 cm high and 32 cm wide, which makes it a perfect fit for a 400 page A5 book, journal, diary or something slightly bigger. But if you want different size, just let me know.